There are 3 entrances to the ground. PLEASE NOTE THAT IN ORDER TO COMPLY WITH HEALTH AND SAFETY REGULATIONS WE CANNOT OFFER PARKING NOW. IF YOU HAVE TO DRIVE, PLEASE USE THE CAR PARKS IN THE TOWN OR RESIDENTIAL STREETS WITH DUE CONSIDERATION TO HOMEOWNERS. 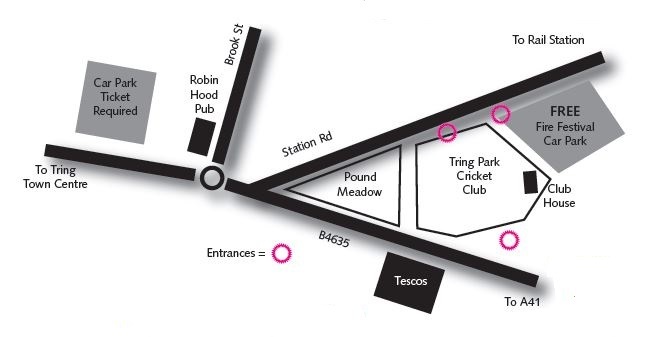 TRING RESIDENTS ARE STRONGLY ENCOURAGED TO WALK TO THE GROUND.